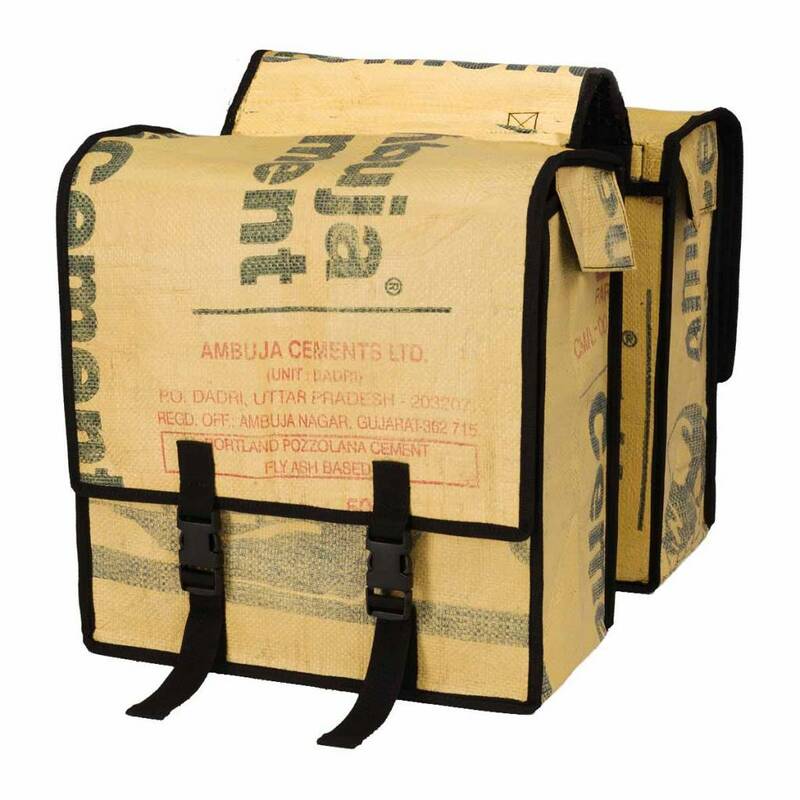 Double panniers bike bag made from upcycled cement bags Ambuja / pannier bag / saddle bag. 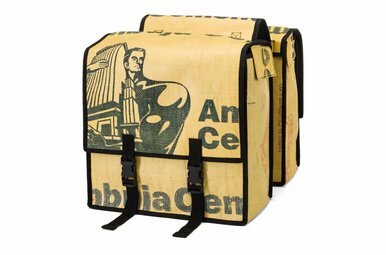 Finding the perfect pannier bag can be tough. Well you can stop searching. This is the one you were looking for! 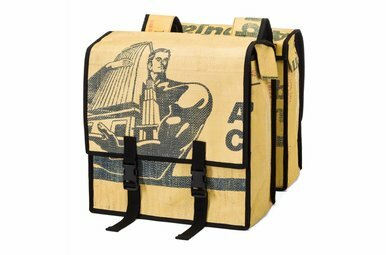 Now you can shop till you drop: the huge capacity of 40 litres allows you to carry large and heavy amounts of equipment in a safe and protected manner. 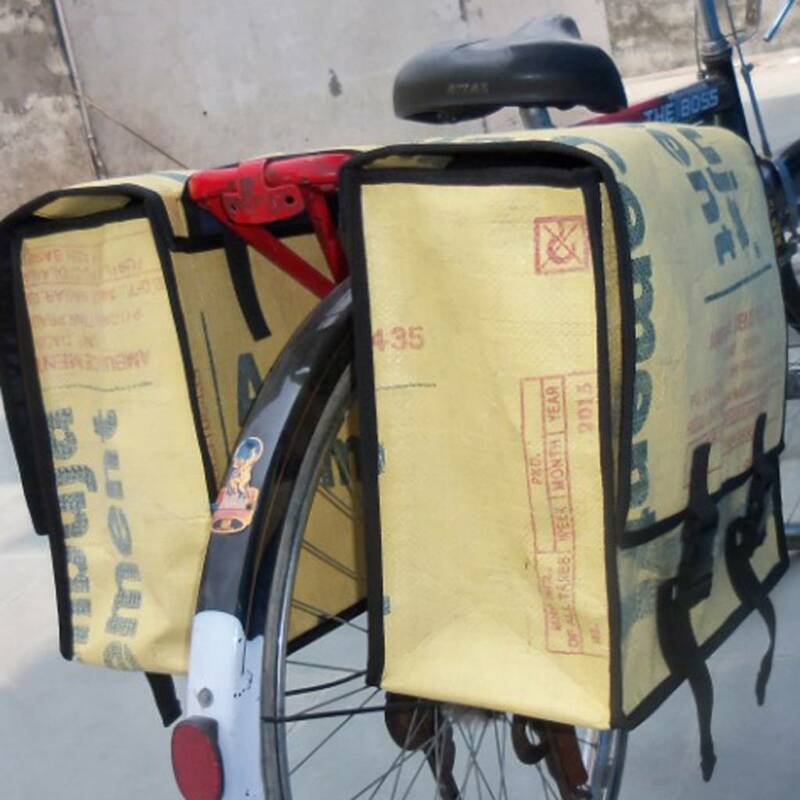 Used2b double panniers offer roomy storage and protection from weather. They simply attach to the rack using two adjustable straps. Handmade in India by an NGO with fair trade approach to production. 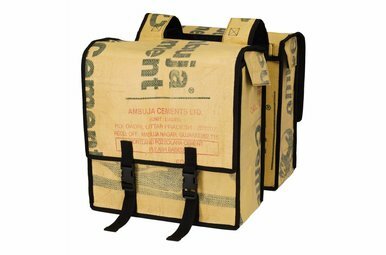 All used2b items are handmade and unique but we tried to make this bag look as much as possible as on the picture: this one will not have the man with muscles on the flaps but mainly the original text from the Ambuja cement bags.